I lean on my elbows a lot. I know this about myself. 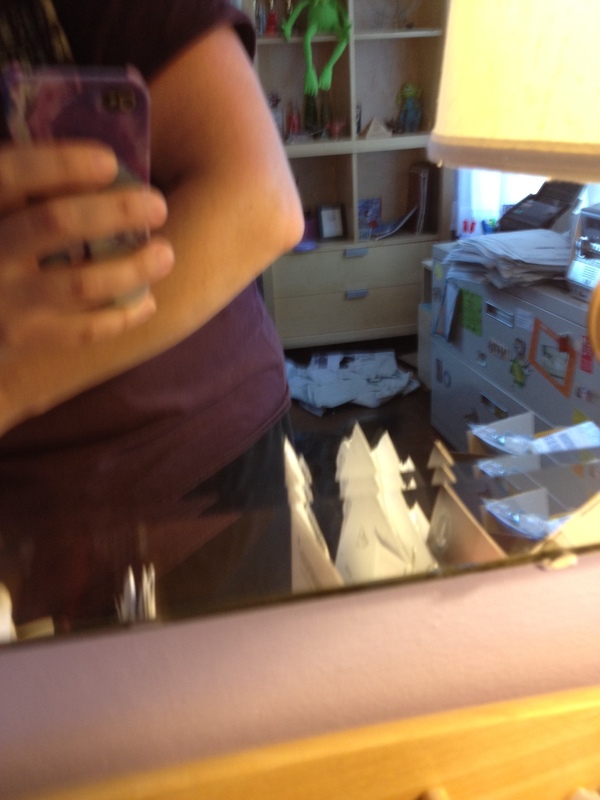 I have been aware for the last couple of weeks that my left elbow has been more….sensitive, or something. Like, bruised feeling. But apparently I haven’t actually LOOKED at my bruised-feeling elbow until last night, or I would have noticed that it was 2-3 times larger than normal. And not really elbow shaped. Much more bulbous than usual. Not only did it not look like an elbow, it did not feel like an elbow. Clearly I had elbow cancer. I knew this because many months, or maybe a year ago, Sunshine (my non-biological twin) had wrist cancer, which ended up being a ganglion cyst, but when all she knew was that she had a bump on her wrist, she was convinced it was wrist cancer. Hence, squishy, bulbous elbow = elbow cancer. We might have a tendency to overreact to things in my non-biological family. Maybe. But this is typical for me. I am accident-prone and a klutz and I frequently have bumps and bruises and scrapes that I don’t know where they came from. Yesterday I ran over my foot with my own chair. Today my foot will be sore and I won’t remember why. That is standard operating procedure for me. So I have no idea what I might have done to my elbow, if anything. Perhaps it just happened, got inflamed. 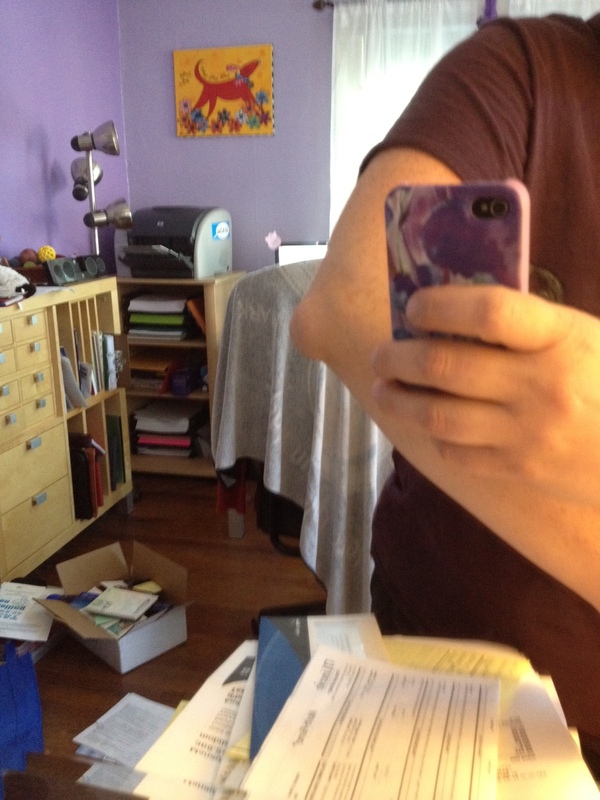 Once I stopped hyperventilating over my squishy, bulbous elbow, I took pictures of both the normal and the abnormal elbows and sent them to Klondike. Perhaps so he could prepare himself for my demise. Or so he could talk me off the ledge. I knew it was serious when instead of texting me back, he CALLED ME. (Have I mentioned that we pretty much never talk on the phone? Maybe three times in eight months.) Obviously the situation was dire. Klondike’s assessment was that something was going on with the bursa in (around? who cares.) my elbow joint. After he talked me down from my panic, he suggested that I send the picture to Pandi, my nurse friend, for a more professional second opinion. Her response was similar to his, and she assured me I could wait till normal office hours to seek medical attention. She also asked that I not sue her, should her long-distance diagnosis via iPhone pictures be inaccurate. My biggest concern/reason for going to the doctor is that I am getting on a plane soonish for a quick trip for a wedding and I want to make sure it’s ok to get into a flying pressurized capsule and that it won’t make my elbow explode. Cuz that would just be gross. And fluid doesn’t really go with what I was planning on wearing to the wedding. Unless it’s in a wineglass. And we’re going to call THAT wine or liquid instead of fluid, because now I’m just thoroughly grossed out. Fortunately, my doctor was able to squeeze my bulbous elbow and me onto his schedule this morning. Bert, the nurse, took my blood pressure. Typically she uses my left arm, but today she used my right. I’m pretty sure this was so my elbow wouldn’t burst, although she did start laughing when I asked if that was why. I have bursitis. That just sounds like something an old person would have, right? My doctor insisted that young people get it, and that old people get things like osteoarthritis. He and the nurse did wonder how it happened, though. Did I whack it on something? Who knows. As I said, that’s just how I am – I bump into things. In college, I duct-taped a rag around the sharp corner of my bed frame because I got tired of the bruises and gashes on my leg where I walked into it on a regular basis. In case the yoga has been exacerbating it, the Y kindly scheduled a two-week break (boo! ), so the elbow happens to get some time off. And the doc prescribed some Prednisone. My elbow should be normal sized and bony again before you know it. Sadly, I get it now. Bursitis does sound like something an old person would get..